The modules in this programme can also be taken as individual short courses. Please follow the links on this page to the 'Programme Modules' for more information. Oxford has made a major contribution to modern molecular medicine and our senior scientists have provided significant insights to our understanding of cancer, diabetes, and cardiac, haematological and infectious diseases. There is now an opportunity to harness these advances and translate them into therapeutic benefits for patients. The Programme draws on the world-class research and teaching in experimental therapeutics at Oxford University and offers a unique opportunity to gain an understanding of the principles that underpin clinical research and to translate this into good clinical and research practice. Click here to download the Experimental and Translational Therapeutics brochure . The MSc in Experimental and Translational Therapeutics is a part-time course consisting of six modules and a research project and dissertation. The programme is normally completed in two to three years. Students are full members of the University of Oxford and are matriculated as members of an Oxford college. The modules in this programme can also be taken as individual short courses. It is possible to transfer credit from up to three previously completed modules into the MSc programme, if the time elapsed between commencement of the accredited module(s) and registration on the MSc is not more than two years. The aim of the MSc programme is to provide students with the necessary training and practical experience to enable them to understand the principles that underpin clinical research, and to enable them to translate that understanding into good clinical and research practice. Designing phase I, II and III clinical trials for a range of novel therapeutic interventions (and imaging agents). The Faculty have confirmed that if enrolled for Pharmaceutical Medicine Specialty Training (PMST), trainees may be able to use knowledge provided by Experimental and Translational Therapeutics modules to cover aspects of a module of the PMST curriculum. Trainees are advised to discuss this with their Educational Supervisor. Experimental and Translational Therapeutics modules may also be used to provide those pursuing the Faculty's Diploma in Pharmaceutical Medicine (DPM) with the necessary knowledge required to cover the Diploma syllabus. Applicants for the DPM exam are advised to read the DPM syllabus and rules and regulations. Members of the Faculty of Pharmaceutical Medicine who are registered in the Faculty's CPD scheme can count participation in Experimental and Translational Therapeutics modules towards their CPD record. Non-members may wish to obtain further advice about CPD credit from their Royal College or Faculty. The class-based modules will include a period of preparatory study, a week of intensive face-to-face lectures and tutorials, followed by a period for assignment work. Attendance at modules will be a requirement for study. Some non-classroom activities will be provided at laboratory facilities elsewhere in the University. The course will include taught material on research skills. A virtual learning environment (VLE) will provide between-module support. The taught modules will include group work, discussions, guest lectures, and interaction and feedback with tutors and lecturers. Practical work aims to develop the students' knowledge and understanding of the subject. Professor Seymour is a world authority on genetic medicine, with over 200 publications and several patents. Len is Professor of Gene Therapies, and Director of the Section of Clinical Pharmacology at the University of Oxford’s Department of Oncology. 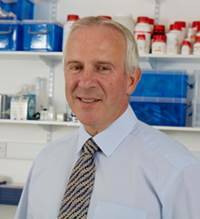 Len sits on a number of editorial and scientific advisory boards, was the founding President of the British Society for Gene Therapy, and is a board member of the International Society for Cell and Gene Therapy of Cancer. He is also Co-Founder of Psioxus Therapeutics Ltd, The Native Antigen Company Ltd and Oxford Genetics. Dr Elaine Johnstone is a Translational Research Scientist with a BSc in Medicinal Chemistry, an MSc in Molecular Pathology and Toxicology and a PhD in Molecular Pharmacology. Her PhD at the Cancer Research Unit, University of Newcastle upon Tyne, was the seed of the start of a career researching drug pharmacology, pharmacodynamics and personalised/precision medicine. After a fellowship studying differential drug response in sarcoma at the University of Bordeaux, her Oxford career initially focussed on cancer prevention, via optimising smoking cessation therapies. She has more recently focussed on studying biomarkers of prognosis and of treatment effectiveness within clinical trials (predominantly colorectal cancer) in the Department of Oncology. With more than 20 years of experience in translational research and 50+ publications in the area, Elaine is the lead tutor on Module 3 and also the Deputy Course Director. Module Lead of The Structure of Clinical Trials and Experimental Therapeutics module. Professor Kerr gained a BSc (Physiology) followed by an MBChB with Honours from University of Birmingham in 1994. After general medical postgraduate training (MRCP) she undertook research into cancer vaccines, leading to the award of her PhD in 2002. Rachel is Associate Professor of Gastrointestinal Oncology in the Department of Oncology at the University of Oxford and Consultant Medical Oncologist at Oxford University Hospitals NHS Trust within the colorectal cancer multidisciplinary team. She has been the recipient of multiple personal fellowships from the MRC, DH and HEFCE and has authored over 100 papers in the field of colorectal cancer. 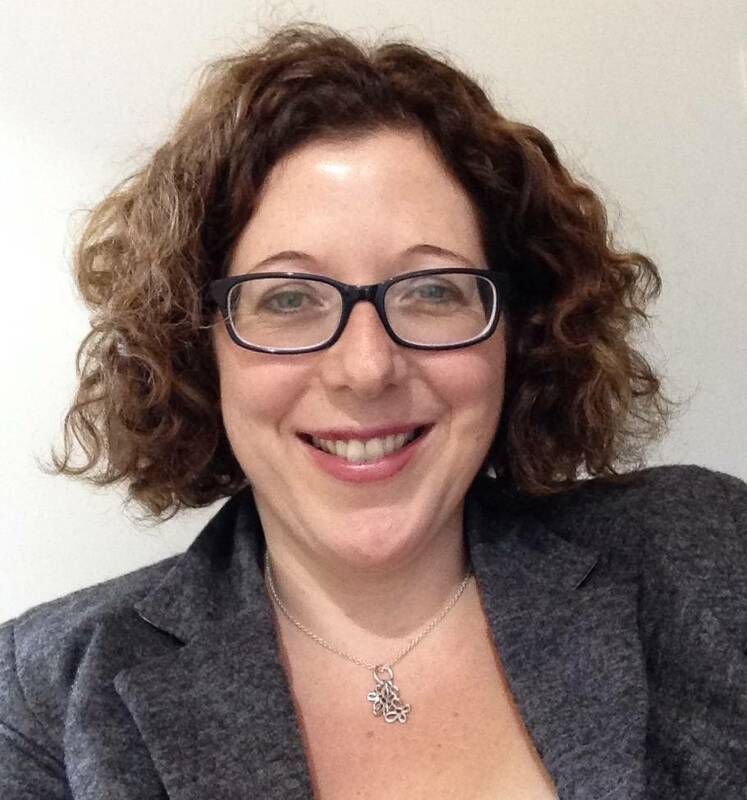 Rachel is also Clinical Director of Phase 3 Trials at the Oncology Clinical Trials Office (OCTO) based within the University and has extensive experiencing setting up, managing and writing up clinical trials in this area. Rachel has been CI / Co-CI on trials that have recruited almost 15,000 patients over the last 15 years. Module Lead of Drug Development, Pharmacokinetics and Imaging module. Professor Paul Brennan received his PhD in organic chemistry from the University of California, Berkeley under the mentorship of Paul Bartlett working on synthetic methodology for combinatorial chemistry and synthesizing inhibitors for new anti-bacterial targets. Following three years of post-doctoral research with Steve Ley in Cambridge University on the total synthesis of rapamycin, Paul returned to California to take a position at Amgen. His research was focussed on designing and synthesizing kinase inhibitors for oncology. After two years at Amgen, Paul accepted a position as medicinal chemistry design lead at Pfizer in Sandwich, UK. Over the next six years Paul designed and synthesized compounds for most major drug classes: kinases, GPCR’s, CNS-targets, ion-channels and metabolic enzymes. In 2011 Paul joined the Structural Genomics Consortium as a principal investigator to discover chemical probes for epigenetic proteins. He is currently an Associate Professor of Medicinal Chemistry at the SGC and head of chemistry of the Alzheimer’s Research UK Oxford Drug Discovery Institute at the University of Oxford. Module Lead of Adverse Drug Reactions, Drug Interactions and Pharmacovigilance module. Dr Michael Theodorakis is a Senior Clinical Researcher at the Diabetes Trials Unit, Oxford Centre for Diabetes Endocrinology and Metabolism, University of Oxford. He is the Clinical Lead of large scale clinical trials and Principal Investigator on early phase studies with the Translational Research Group at the Oxford Biomedical Research Centre. He is also an Honorary Consultant Physician in the Oxford University Hospitals NHS Foundation Trust. Michael has served in the past and continues to serve as a Member of Committees at the European Medicines Agency and other EU Commission workgroups, along with his continuing membership in many prominent professional societies and scientific associations in Europe and the US. Michael has long been involved in clinical research and has been especially active in translational research, focusing on innovative pharmacological design and development of novel compounds for human use. Module Lead of How to do Research on Therapeutic Interventions: Protocol Preparation module. Dr Grant D Vallance originally hails from New Zealand. He has an undergraduate degree in Biochemistry and a Masters in Bioethics from the University of Otago. His Ph.D. is in Ethics and the Philosophy of Science and from the Open University. He has taught research ethics for almost 15 years, been involved in 5 different research ethics committees, and worked as a clinical trial coordinator in the University of Oxford & NHS. Currently, Grant is employed in clinical informatics and information management in the NHS, and is the lead for Module 5 in the Experimental and Translational Therapeutics Programme. Please visit the MSc in Experimental and Translational Therapeutics page on the University of Oxford Graduate Admissions website for details of the entry requirements. The fee rates listed are for the 2019/20 academic year and you should expect these to increase annually. You will be required to pay a minimum of two annual award fees, and a further annual award fee for every additional academic year (or part-year) that you attend the course, and to pay module or dissertation fees as they become due. Fees must be paid in accordance with the Terms and Conditions (see below) for this programme. All amounts are in pounds sterling. 1. The fee rates listed are for the academic year shown, and you should be aware that these rates will increase annually, so students should expect the total to be higher than is shown in the Illustration. The exact amount will depend on the fee rates set annually, and upon the years you are in attendance; these are normally published well before the start of each academic year, but for your own budgetary purposes you may wish to estimate a 5% annual increase on fee rates. 2. See the Oxford University website for Home/EU and Overseas classification of students for fees purposes. Judith Hockaday Travel Bursaries: Students attending postgraduate medical courses who are normally resident in less developed countries may be eligible for a bursary to help with travel to and from Oxford. Applications for entry in 2019-20 are now open. Applications for this course should be made online via the University of Oxford Graduate Admissions website. Please see the Graduate Course Guide and the Application Guide for more information on how to apply. Early application is strongly advised. All applications must have been fully completed before the application deadline. Shortlisted applicants will be invited to telephone interview and asked to provide evidence of their funding for the programme. Application deadlines* can be found on the MSc in Experimental and Translational Therapeutics page on the University of Oxford Graduate Admissions website. *Applications completed before the January Deadline will automatically be considered for a Clarendon Scholarship. Later applications may be considered if places are available. All supporting materials, including references, need to have been received by the relevant deadline. Please contact the administrative team if you have any questions concerning the deadlines for the course.